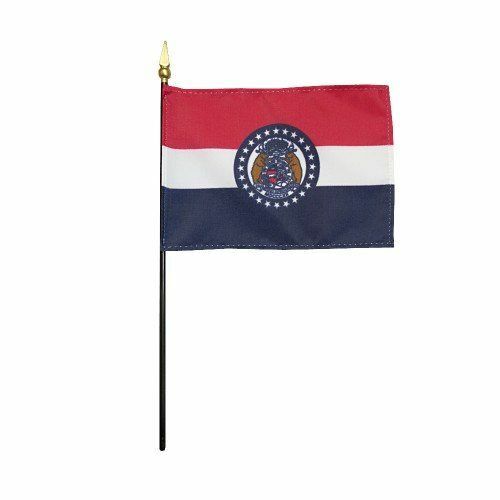 AmericanFlags.com is proud to carry Missouri State Flags in a variety of materials, and styles, in sizes ranging from 4 IN X 6 IN to 12 FT X 18 FT. All of our Missouri flags meet official specifications, are on sale right now and are ready for immediate shipping to your door. 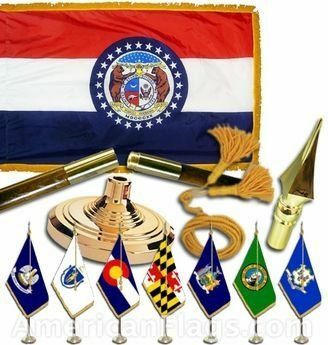 Symbolizing valor, purity and vigilance and justice, the horizontal red, white and blue stripes of the Missouri State Flag provide the backdrop for the State Coat of Arms, which is encircled by a white-star-studded band of blue. The 24 stars in this band represent Missouri as the 24th state to join the Union. The strength and power of the Federal government are heralded on the Coat of Arms with the image of a Bald Eagle grasping an olive branch with the arrows of war in its talons. 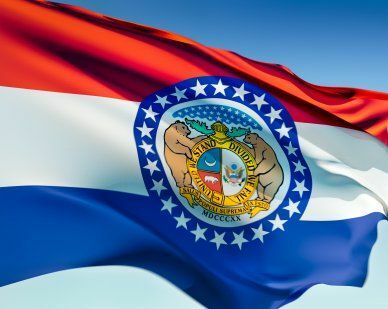 The grizzly bear pictured on the Coat of Arms symbolizes the strength and bravery of the citizens of Missouri, while the crescent moon represents the State of Missouri as it was at the time it was inducted into the Union, a small population with wealth and potential. 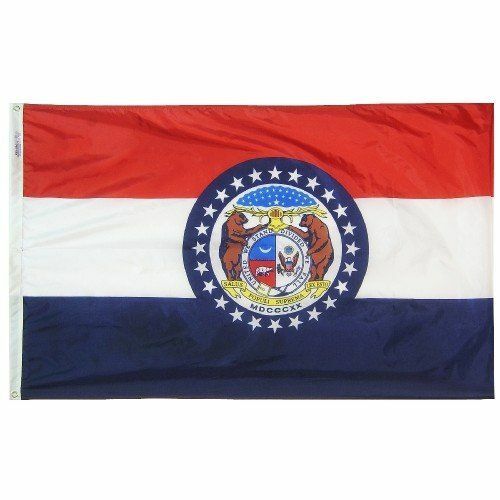 Flanking the shield are two bears that symbolize the bravery of the citizens of Missouri. Salus Populi Suprema Lex Esto, the state's motto is also inscribed on the flag and translates to, "Let the welfare of the people be the supreme law." The Roman Numerals for 1820 also appear and stand for the year that Missouri became a member of the United States.